2. 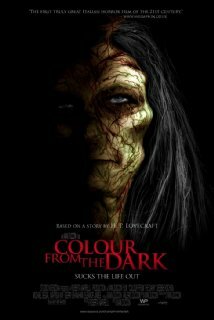 This is actually a movie. It wasn’t a joke after all. 3. It is possible to fit every cop movie trope EVER into a single movie … into a single character. 4. When facing off with chupacabras, always remember to wear your sports cup. Trust us on this one. 6. Secret passagse are impossible to find … until the main character needs to find it. Even when that secret passageway leads out into the main parking lot and is complete with a cellar door type opening. Seriously, no one EVER noticed that??? 7. Wow, the Taco Bell Chihuahua has really let itself go. 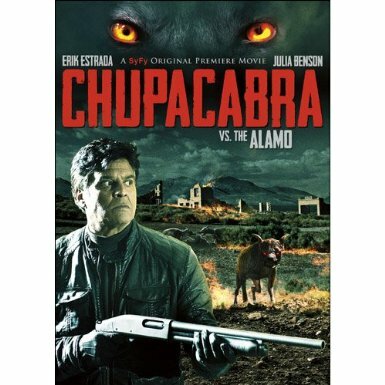 MOVIE IN A SENTENCE OR LESS: When rabies ravages San Antonio’s chupacabra population, it takes Erik Estrada to save the world … and burn down a historical landmark. 1) Every boy named Marion turns out to be a bad@$$. 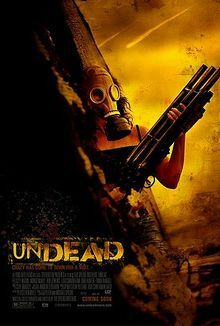 2) This movie may contain some of the most awesome action sequences involving zombie fish EVER to make it to the big screen. 3) The “Weather Girls” had it wrong. It isn’t just raining men … IT’S RAINING AUSTRALIANS! MOVIE IN A SENTENCE OR LESS: It is true … everything in Austrailia really is out to kill you. 1. Science works differently in Canada. 2. One must learn how to properly grip their wood. 7. So … if grafting skin from lesbians makes vampires immune to sunlight, what do you graft on to them to make them sparkle? 8. Addidas … the official shoe of walking on water. 9. When a blow-up doll is your stunt double, well, it just isn’t a good sign. MOVIE IN A SENTENCE OR LESS: Who cares what the movie’s about … with a title like that, how can you NOT watch it? 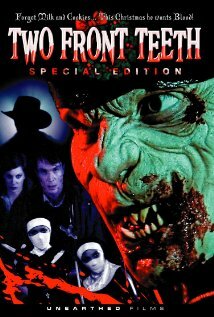 My B-movie thought for the day: There are WAY too many killer appliance movies out there. Trust me. SHUDDER. I’ve seen most of them. After the last one … (there were tentacles) … I’m still looking at my refrigerator a little funny. We lost many part way through … well, they escaped. Next time, I’ll have to bolt the door shut. 1. Pittsburgh has an Egypt-town. 2. That this movie had no bloodsucking (I don’t think the shop vac counted–don’t ask), no pharaohs, definitely no bloodsucking pharaohs, but one scene may have taken place in Pittsburgh. Maybe it should have been called “Absolutely no Bloodsucking Pharaohs in Pittsburgh”. 4. Wait, it gets better … STRIPPER NINJAS! 6. A girl dressed as “I dream of Genie” can actually kick @$$. 7. Thanks to the scene involving two women cat-fighting in a garbage crusher, while one is dressed as She-ra crossed with Xena and the other looks like she stepped off the set of “I dream of Genie”, this movie almost counted as “artsy”. MOVIE IN A SENTENCE: I need to take up a less hazardous hobby … like alligator wrestling. It’s time for a Christmas classic that most people have never heard of. 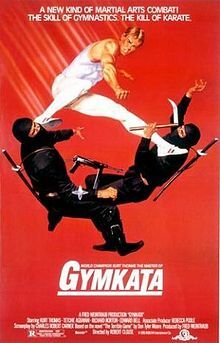 3) A kung fu fight between Santa and the tooth fairy may just be the most awesome thing to come to action sequences in b-movies. 5) WAY too many Christmas puns exist in this world. I think we have a nervous twitch now.